Dwyane Wade is a busy man. Not only is he an all-star basketball player, but he is also father, philanthropist, and best-selling author. Wade was the fifth pick in the 2003 NBA Draft. In 2006, he helped lead his team, the Miami Heat, to a 4–2 series win over the Dallas Mavericks to clinch the NBA championship and was named the NBA Finals MVP. At the 2008 Summer Olympics, Wade led the United States Men’s Basketball team in scoring, as they captured gold medal honors in Beijing, China. Wade earned his second NBA Championship in 2012, when the Heat defeated the Oklahoma City Thunder. His book, A Father First: How My Life Became Bigger Than Basketball, Wade takes readers on a journey through his sometimes tumultuous life and encourages other parents to fully connect with their children. Through his Wade’s World Foundation, Wade gives back to the community by promoting literacy, health, and fatherhood. Despite all of his personal accomplishments, Wade remains humble and grounded. During the NBA All-Star Weekend events in Houston, TX, I got to spend a few minutes with Wade to talk to him about his success. 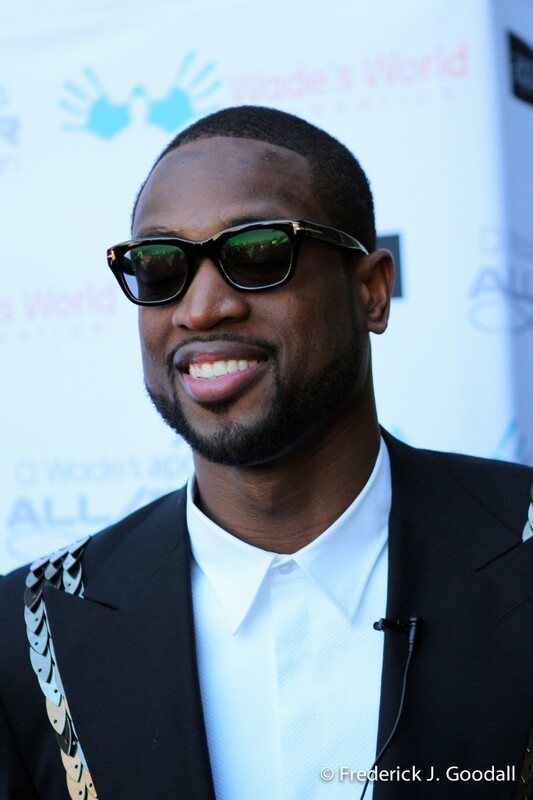 Dwyane Wade: I have two definitions of success – one on the basketball court and one in my personal life. In basketball, success means making my teammates better, winning basketball games and winning championships. In my personal life, success means being a good father to my sons and raising them to be strong men; taking care of my family and being a good friend; and using my influence to make a difference in the community. Success means being satisfied with what you do every day. It’s being proud of the better person you are becoming. Wade: My kids motivate me to keep moving forward. My kids are my everything. Every morning when I wake and every night when I go to sleep, I’m thinking about what I can do to become a better father and a better person. I keep pushing because I’m building a legacy for them. I live by the motto, ‘To whom much is given, much is required.’ I know that people are counting on me. That’s why I have to keep working hard. Wade: I would have to name two people—my parents. I’ve seen them come through adversity and work hard to create the best life for me and my siblings. Although I don’t remember them together as a couple, I remember the love they had for their children. I’ve learned great lessons from them for things on the court and off. I really look up to them. MMS: What do you consider to be your biggest achievement? Wade: My biggest achievement – besides being drafted into the NBA – was becoming a father. Being a father has made me experience things that have contributed to my maturity and personal growth. Every time I look at them, they remind me to work harder and become a better man. Wade: Never give up and take nothing for granted in life. I’ve struggled in my life. I’ve had hard times, but I kept pressing on. I always remind my kids that hard work pays off. That’s how I got to where I am right now because of sacrifice and the work I put into it.